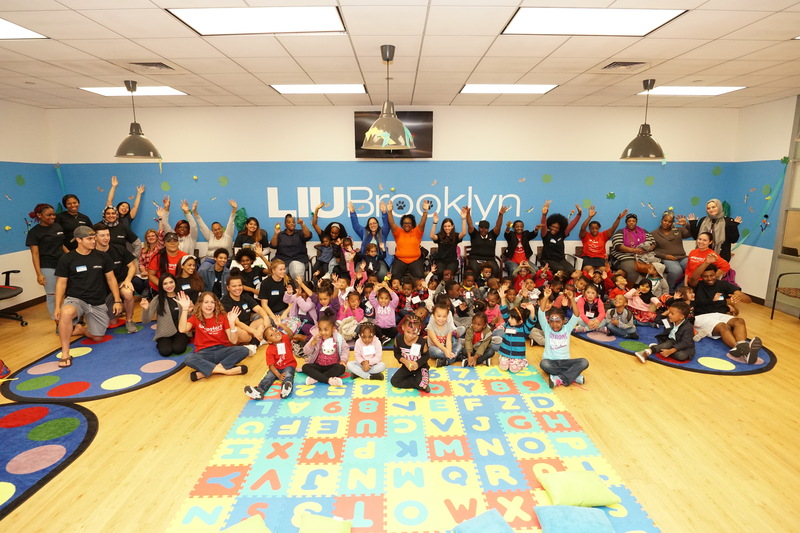 BROOKLYN, N.Y.— On Thursday, October 19, Campus Life and Jumpstart partnered to host a new LIU Cares tradition, Read for the Record. Read for the Record is a nationwide initiative where schools across America all read one book on the same day. More than 80 children aged 2 – 5-year-old visited campus. Thirty-five LIU Brooklyn volunteers had lunch with the children, read the book Quackers by Liz Wong, and helped to facilitate engaging activities. 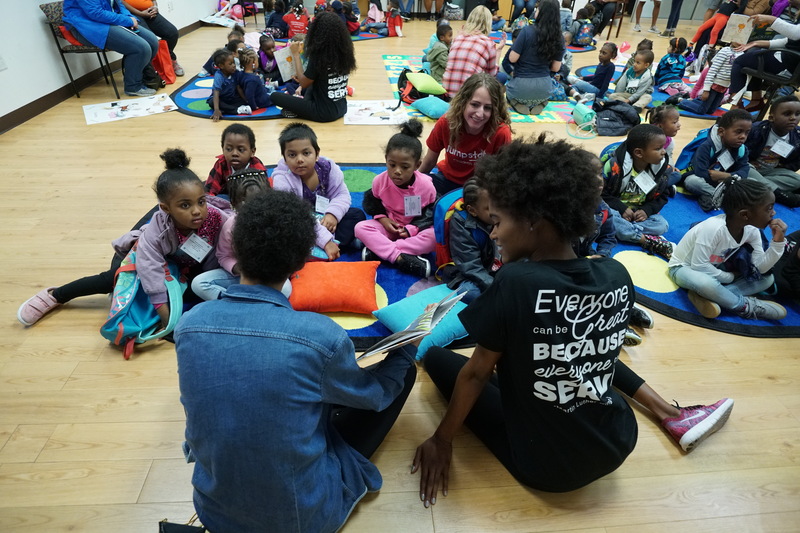 Celebrity guest Jumpstart alum/Victoria Secret Model Jourdana Phillips and Akua Williams joined LIU student volunteers to read to the children and support this important initiative. About LIU Cares: LIU Cares, a multi-campus, multi-dimensional initiative, provides access to evolving and active partnerships with community agencies and organizations, and is designed to connect LIU’s 20,000 students, 3,500 faculty and staff, and 200,000 alumni to the power of service through volunteerism and community engagement—locally, nationally, and globally. The mission of LIU Cares is to provide a destination for individuals at LIU to develop thoughtful approaches to community engagement, service learning and discovery.